Two former Ford Motor Co. executives have been appointed to senior roles at German supplier Getrag Group and Norwegian electric vehicle maker Think Global. 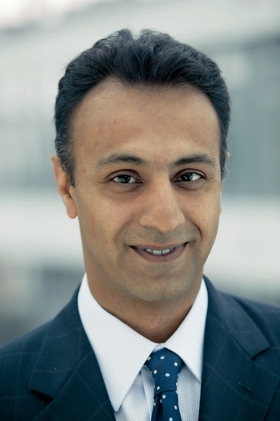 Mihir Kotecha, a former Ford of Europe finance executive, is Getrag's new CEO. Jan Brentebraten, a former leading executive at Ford and Mazda, is Think's new global director of marketing, sales and service. Former Ford Motor Co. executive Mihir Kotecha, will be the new CEO of German transmission maker Getrag Group. Kotecha, 42, will succeed Dieter Schlenkermann, who retires December 1 after 35 years with the company. Kotecha currently is head of Getrag Ford Transmissions, a joint venture for transmissions with Ford, a post he will keep in addition to his new role. Kotecha will keep role as head of Getrag-Ford transmission JV. Kotecha began his career in the automotive industry with Ford Credit Europe in 1995. He held various roles with the carmaker including Ford of Europe's corporate finance manager from 1999 to 2001, after which he left Ford to become Getrag Ford's chief financial officer. Getrag has 13,450 employees at 24 locations and says it is the world's largest independent automotive transmission manufacturer worldwide. In 2008, its sales were 2.5 billion euros. Electric vehicle maker Think Global has recruited former senior Ford of Europe executive Jan Brentebraten. Brentebraten is the Norway-based company's new global director of marketing, sales and service. Brentebraten was most recently Ford of Europe's director of sustainability and alternative fuel vehicle strategy. He oversaw the development and implementation of Ford's European sustainability strategies and plans including lobbying and relationship building within Europe and a number of fleet and retail sustainability initiatives. Brentebraten was a Ford green lobbyist. 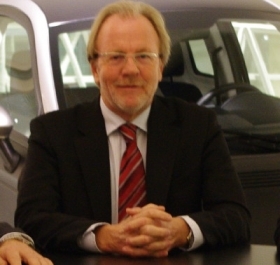 During his career, Brentebraten has worked as head of Ford's operations in the Netherlands and Scandinavia and served as president of Mazda Motors Germany and Mazda Europe. Think also appointed Helge Nerland as its chief financial officer. Nerland has more than 20 years' leadership experience in the finance world, most recently as senior corporate advisor at the Norwegian investment firm Fondsfinans ASA with special responsibility for renewable energy projects and energy saving technologies. Former Toyota Europe and Ford Motor Co. executive Massimo Nordio will be the new head of Volkswagen AG's Italian operations. Nordio, 51, will take up his new post December 1, replacing Massimo Mazza, who has left VW at his own request. 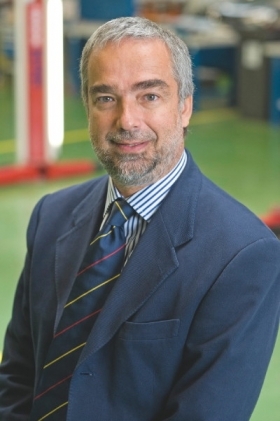 Nordio was a Ford sales executive in Italy until joining Toyota where he worked as head of sales before moving to Toyota Europe's headquarters in Brussels in 2008 to become head of aftersales, parts logistics and customer service.